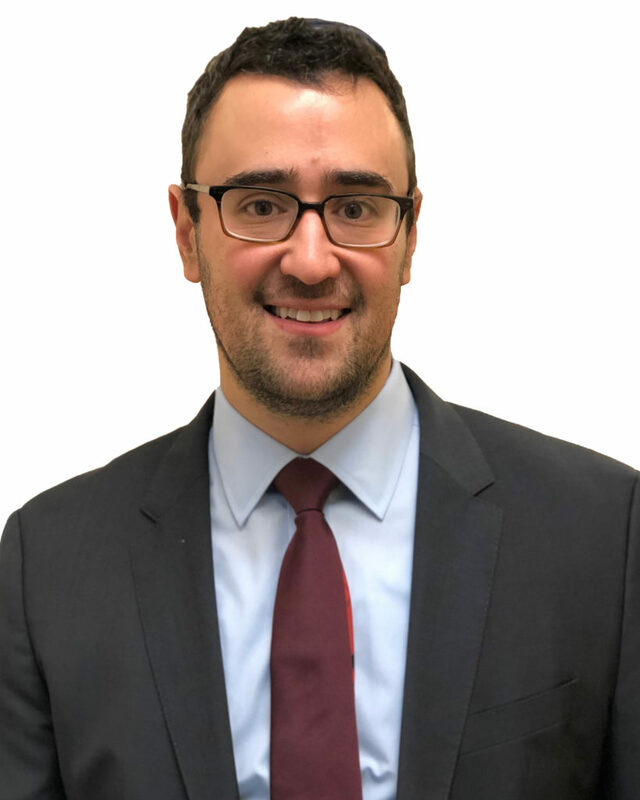 Dr. Aryeh Keehn has an undergraduate degree from Yeshiva University and received his medical degree from Stony Brook University School of Medicine. He completed a surgical internship and urologic surgical residency at Montefiore/Albert Einstein College of Medicine in New York City. He complemented his training with a fellowship in advanced robotic urologic oncology and reconstruction at Temple University’s Center for Robotics in Philadelphia. Dr. Keehn has a special interest in cutting-edge treatments for BPH and stone disease, in addition to his unique training in robotics and upper urinary tract reconstruction. “I take special pride in being on the cutting edge of medical and surgical management for a wide variety of urologic conditions. I specialize in all aspects of kidney stone disease, with an emphasis on identifying why stones are being formed to help prevent them from recurring in the future. Additionally, I take particular interest in individuals with frequency and urgency of urination. I offer the most up to date treatment regiments to help my patients sleep well at night, avoid accidents, and obviate the need to stay close to a restroom at all times. Keehn A, Gartrell B, Schoenberg MP. Vesigenurtacel-L (HS-410) in the management of high-grade nonmuscle invasive bladder cancer. Future Oncol. 2016;12(23):2673-2682. Keehn A, Taylor J, Lowe FC. Phytotherapy for Benign Prostatic Hyperplasia. Curr Urol Rep. 2016;17(7):53. Keehn, A, Stifelman MD. Editorial Comment on Chopra et al (Port Placement and Docking for Robotic Surgery: The University of Southern California Approach. J Endourol. 2015;29(8):872. Keehn A, Srivastava A, Maiman R, et al. The relationship between visceral obesity and the clinicopathologic features of patients with small renal masses. J Endourol. 2015;29(3):372-6. Keehn A, Maiman R, Agalliu I, Taylor J, Ghavamian R. Outcomes and Management Considerations in Patients on Dialysis Undergoing Laparoscopic Radical Nephrectomy for Renal-Cell Carcinoma. J Endourol. 2015;29(6):691-5. Robotic Surgery: Clinical Perceptions, Approaches and Challenges. 2018. Robotic urologic surgery for benign disease.